That ADAM have been bought up by someone probably isn’t exactly the biggest surprise to anyone who follows the DAM market. For a while now, they have courted the pay-to-play analyst firms to appear in their reports, asked them to write whitepapers on their behalf and played along with their pet theories. If an exit for their investors had not been forthcoming then I suspect it might have been the senior management who would have been leaving instead. I am not aware of a betting outlet (or ‘prediction market’) where you can take positions on what will happen to DAM vendors and back them with hard cash, but given that my monopoly-money stake was on OpenText being their suitor, perhaps I should be grateful that there isn’t one on this occasion. Setting aside my unsuccessful paper trading of bets on corporate manoeuvres in the world of enterprise software, what are the implications of all this? Firstly, I can see the obvious advantages for both firms of pursuing this acquisition. I have no idea what kind of numbers were involved in this transaction, but this seems more like a merger than an acquisition because both parties clearly needed it to happen. Around a decade ago, Aprimo were the top dogs in MRM and the trade press consensus certainly used to be that they were the firm everyone else in that market aspired to be. Lots of similar claims are made by DAM firms, however (including ADAM) so to what extent that really was true is harder to assess. I gather Aprimo’s own previous sale to Terradata in 2010 wasn’t entirely a successful one, as they were unable to integrate their new acquisition satisfactorily and extract the maximum value on offer. I understand Aprimo became independent again recently and their prospects have improved as a result. My information is based on reading article from the aforementioned press outlets, however, so I cannot claim any inside knowledge about them and others may have a more informed opinion. The DAM component of all the MRM suites I have seen to date has been below par and does not measure up with a dedicated DAM solution. Along with ECM software suppliers, there was a decent amount of money left on the table by MRM vendors in the mid-2000s because of their inability (or lack of willingness) to devote enough resources to the DAM aspect of their technology stack for them to be as widely adopted by DAM users (especially those who specialised in rich media like photo or video library managers). This allowed dedicated DAM suppliers an opportunity to gain a foothold – firms like ADAM, for example. 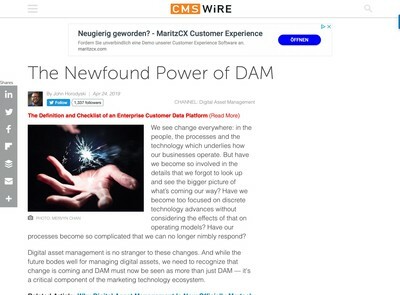 According to the CMSWire article about this acquisition by Virginia Backaitis, Gartner cited Aprimo’s lack of DAM capabilities as a key issue with their platform. I haven’t read the Gartner report but from my experience, you could say the same about almost any MRM vendor you care to mention. This speaks to an issue with DAM and software suites in general, unless the vendor is of a significant size (i.e. turnover of $3bn+) then they are better off sticking to the knitting and focusing on their core market than trying to cover numerous bases simultaneously (especially where one segment is expanding more than the others). It should be noted that even larger vendors also tend to use acquisition to plug gaps in their offer because of the length of time required to develop something from scratch (not to mention the risks). For Aprimo, therefore, this is a tacit admission that DAM is important enough for them to need to buy someone else rather than spread themselves even thinner and fight wars across even more fronts. The situation with ADAM is slightly different, but more from a business perspective than a product one (although that is a factor as I discuss below). My understanding of ADAM is that while the firm has expanded, it has hardly been the ‘hockey stick’ growth trajectory which private equity firms tend to want to see. A few years ago, I can recollect some dealings with one or more representatives of ADAM and they wanted to be known as a ‘marketing technology provider’, rather than ‘Digital Asset Management’, although DAM seems to have returned to favour in their PR output over the last year or two. A few other DAM vendors have try to ply this line and they also usually have to give up when they find they have started to cut off the reason why prospective clients became interested in them in the first place. That ADAM effectively changed their minds about competing with firms like Aprimo and instead decided to sell themselves to one should be instructive for anyone else who is contemplating the same strategy. 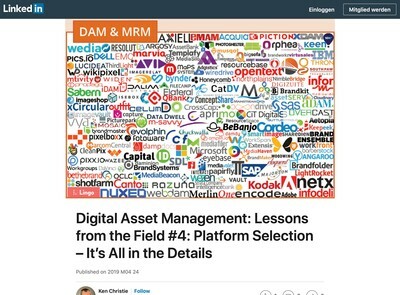 The DAM software market is unloved by many other enterprise software interests because the topic seems superficially dull and lacking in dynamism (although it is anything but once you get into solving real-world digital asset problems). Demand for it among end-users is growing steadily and relentlessly because they now regard DAM as an essential purchase. 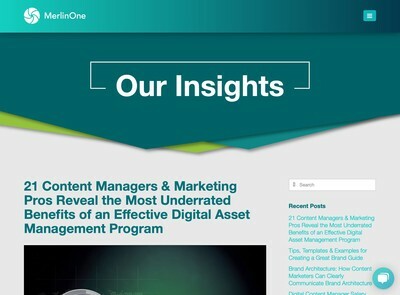 Content-oriented Digital Asset Management software is like the marketing/creative equivalent of accounting systems: no one really gets excited by the prospect of its introduction, but nearly everyone comes to the conclusion they need to have a solution because there are just too many digital assets for them to deal with in any other way. Just like finance/accounting systems, the DAM subject is often a bit more complicated than many people imagine and building your own isn’t a viable proposition these days because the task is far harder than it first appears. For these reasons, the Aprimo/ADAM tie up is arguably more of a marriage of equals than it is being described, even if their respective revenue numbers are asymmetrical in nature. I must also note some product-oriented factors about ADAM which may or may not have implications for their users (they certainly should have some for their current competitors). While some firms have let their application architectures go to seed and attempted to extricate themselves from a mess of their own making by adding more product brands, I have been consistently impressed with the way ADAM assembled their solution. While their own platitudes and PR puffery about their platform are probably excessive (whose aren’t?) from what I can tell, the product architecture is both robust and highly flexible, not only in respect of workflow (where they have historically specialised) but at a more fundamental level also. Although they were later than some to introduce a REST API, I don’t encounter many end-users who complain about a lot of weird behaviour or hacks, smoke and mirrors etc – which isn’t the case with all DAM applications (including at least a couple of self-professed ‘market leaders’). The product is not as innovative as some options on offer elsewhere, but it gives the impression that they have a platform which has longevity and could be built upon without incurring a lot of unnecessary expense to fix lots of hidden faults and earlier expediency on the part of the product team. I would imagine the due diligence for this acquisition included some analysis of the architecture and I expect this to be a factor in why Aprimo selected them (although not as much of one as some people might imagine). This could be something of a double-edged sword in the context of an acquisition by a larger suitor. 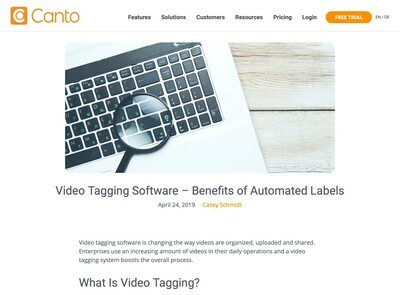 On the one-hand, if you are a user of their products, you might expect greater cohesion and synergies between what ADAM and Aprimo, respectively offer. On the other hand, there are likely to be company-culture changes as a result which might affect the stability of their platform and also you may be placed under pressure to take up Aprimo’s own solutions to carry on using ADAM’s. Further, Aprimo will almost certainly need to integrate ADAM more closely into their own platform and this is not without risks, especially if key personnel decide to up-sticks and leave to work elsewhere. With that said, Aprimo themselves have first-hand experience of what it is like to be on the wrong-end of a failed acquisition so they might be better placed to spot the warning signs and do something about them at an early stage. There is evidently a mix of factors involved here and it’s too early to tell if this a signal to start shopping for another product. I would consider that a hasty decision at this stage of the game for most ADAM users, however, so wait and see would appear to be the best policy for now. Overall, I think this acquisition is generally positive from a DAM industry perspective as it does illustrate a degree of pragmatism on the part of both DAM vendors and others in adjacent markets who might once have taken the view that they could service end-user’s DAM requirements entirely by themselves. To what extent this will mark a trend for similar activity with other firms and what implications it has for content-oriented DAM solutions as an independent class of application remains to be seen. Previous post: DAM Interoperability In 2017 – Where Do We Go From Here?